The summer season is a special time to fully experience the thrill of a vacation in Cadore. During this period, the possibilities for outdoor activities increase and you don’t need to be an athlete to be enchanted by the scenery at the foot of the Dolomites. Outdoor activities in Cadore in the summer are often synonymous with walking. Walking or hiking. Easy paths through meadows and forests of incomparable beauty. Sounds and smells that you often forget , moments of peace and quiet to experience in complete relaxation. Every moment is magical in Cadore. Unexpected encounters with chamois or squirrels while you are collecting mushrooms or during a climb with experienced mountain guides, become moments of your everyday life. During the summer, the ski slopes get transformed into green meadows covered with flowers. Ideal land for fun bob and Adventure park, while the skilifts are still working. Mountain biking along the cycle paths that connect Auronzo to Misurina and Cadore to Austria, sport fishing in Santa Caterina lake and manifestations of rowing, ultra trail and mountain running. Auronzo center is young and lively, with shops and cosy pubs, traditional restaurants and friendly people . Every year Auronzo is chosen as preferred location for the training camp of Lazio, Serie A team of the Italian football league, and also by many mountain lovers, who find in these valleys the pleasure of living a truly unique holiday experience. 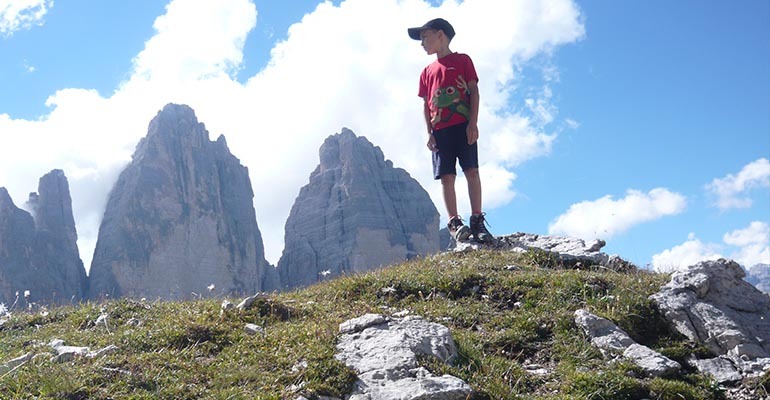 Here are many outdoor activities that you can practice once you have chosen to spend your holidays in Auronzo di Cadore, at the foot of the beautiful Tre Cime di Lavaredo in the most beautiful Dolomites landscape. In this area of high mountains, nature has been generous enough to give large spaces for practising sports or to enjoy the treasures of this Unesco world heritage site. The outdoor activities you can do in Auronzo are so many, in every season. The camping is open both for the summer season and for the winter one as well to satisfy lovers of skiing or sunbathing. 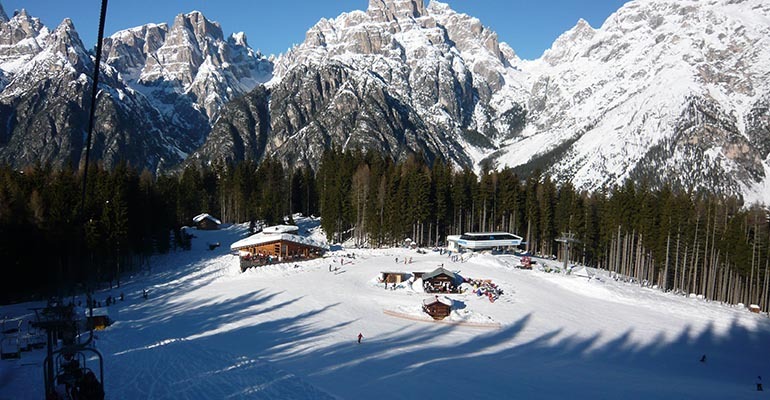 During the winter, the whole Cadore valley is covered with a soft white blanket. Fresh snow for winter sports enthusiasts . Auronzo is the ski destination chosen every year by those who love to go down the snowy slopes. The modern lifts of Monte Agudo are located just few meters away from the camp-site Europa and they guide the skiers to discover breathtaking landscapes and trails designed for all levels. Auronzo however, is not only skiing, but also ice skating and cross country skiing, with wonderful trails that wind through the paths of Somadida wood and close to the Misurina lake. While walkers can steep themselves in long walks with snowshoes and the less skilled can get help from the ski instructors, to learn how to ski safely.